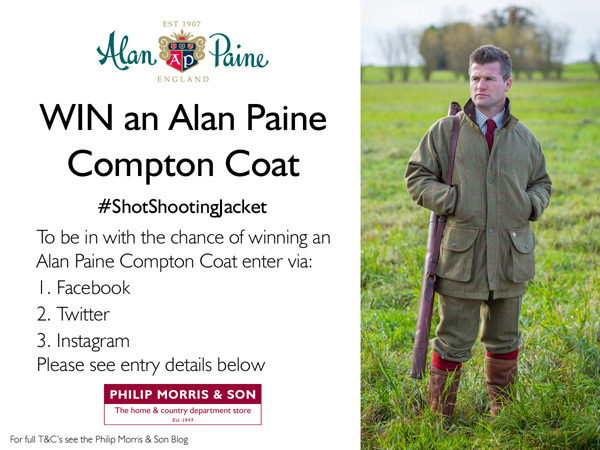 The Alan Paine Compton Coat competition starts 5th of September 2016 at 08:30 and ends on the 30th September 2016, at 23:59. All entries after the closing date will not be included in the competition. The most creative photograph will be picked as the winner i.e. visual quality, and the most amusing – add a caption to your photograph if it is applicable. The Alan Paine Compton Coat is available in both male and female styles. The winner will be asked to confirm their style and size when contacted. The men’s Alan Paine Compton Coat is available in Sage Green, sizes: Small – XXL. The ladies Alan Paine Compton Coat is available in Landscape Green: sizes: 8 – 18. Post a picture of you and your old shooting jacket in the comments section and add #ShotShootingJacket. Follow us on Twitter and RT the competition post. Tweet us a photo of you and your old shooting jacket. Add #ShotShootingJacket to your tweet. Upload a photo of you and your old shooting jacket. Complete by adding the caption: #ShotShootingJacket. 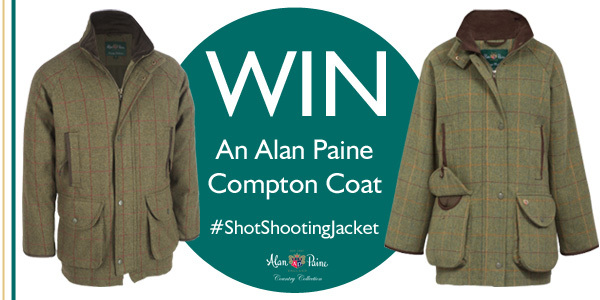 Alan Paine, Alan Paine Compton Coat, Competition, Game Season, shooting, Shooting Clothing, shooting jackets, Terms and Conditions, Tweed, Win. Bookmark.